At a meeting in Klamath Falls [Friday] afternoon, the Bureau of Reclamation provided a preliminary hydrology outlook to irrigators in the Klamath Basin. While the late start to the rainy season this year has delayed Reclamation’s ability to get a clear picture for the irrigation season, officials pledged to continue to provide as much information as possible as soon as possible heading into spring. Irrigators were told that the snowpack and snow water equivalent so far in water year 2018 are well below average. Typically, snowpack builds through December and January and peaks about now, but this year is far from typical. Dry conditions so far have resulted in very low water inflows to Upper Klamath Lake, and the Natural Resources Conservation Service currently projects inflow to be about 54% of the historic average between March and September. The Klamath Basin would have to receive very significant amounts of rain and snow to catch up. In addition, the National Weather Service model currently predicts drought development is likely in a portion of the Klamath Basin. “As we have heard today, the outlook for this year continues to be challenging. We will remain engaged and partnered with the County, Water Users, the State of Oregon and other stakeholders to ensure the best information and data is available as early as possible to aid farmers with their operational and business plans,” said Jeff Nettleton, Manager of Reclamation’s Klamath Basin Area Office. In addition to the dry start to the season, Reclamation officials have been working through other issues that influence the 2018 operations and water supply allocation for the Klamath Project. Officials are evaluating a wide range of creative water management alternatives to ensure that legal requirements are upheld and impacts to Project irrigators for the 2018 irrigation season can be minimized. To help irrigators as they make operational and financial decisions for this year’s growing season, Reclamation plans to provide, as soon as practicable, the most current water forecast projections and preliminary water allocations for irrigators on the Klamath Project. “We get updated forecast information every two weeks, and will share what our models show based on those updates with our irrigators as soon as it is available,” Nettleton said. Yesterday the Sierra Nevada Conservancy (SNC) Governing Board approved nearly $3 million in grants for projects that will reduce wildfire risk and restore forest and watershed health in the Sierra Nevada region. Funding for these projects comes from Proposition 1, The Water Quality, Supply, and Infrastructure Improvement Act of 2014. This is the sixth set of awards made under the SNC’s Proposition 1 grant program. Mariposa County – Wagner Ridge Watershed Protection Plan, $64,750 This grant to the Mariposa County Fire Safe Council will complete the environmental compliance work needed to widen a 4.2-mile section of the Wagner Ridge Fuelbreak between Tuolumne and Mariposa Counties. The Project protects two major watersheds that supply municipal and irrigation water into the San Joaquin Valley. This project leverages work funded by the Natural Disaster Resiliency Competition funds, as well as other project work funded by SNC’s Proposition 1 grant program. Fresno County – Pre-Development/Acquisition Planning for a Biomass Utilization Campus at the Auberry Mill Site, $73,669 This grant to the Sierra Resource Conservation District will complete the pre-development planning, due diligence, and regulatory requirements for the Sierra Resource Conservation District (RCD) to acquire and develop an integrated biomass campus on the Auberry Mill site. The eventual development of a biomass campus on this site will provide a receptacle for non-merchantable biomass for the communities of Auberry and Prather, the High Sierra Ranger District, and private forest landowners, and ultimately protect the Upper San Joaquin and Kings River Basins from large, damaging wildfires. Tehama County – Childs Meadow Fuel Reduction and Forest Resiliency Project, $75,000 This grant to the Resource Conservation District of Tehama County will complete the planning and environmental compliance necessary to develop a timber harvest plan that will reduce wildfire risk and protect the 1,440-acre area just east of Red Bluff. This project will reduce the risk for large, damaging wildfires within the headwaters of two anadromous fish streams that lead to the Sacramento River system. Nevada County – ‘Inimim Forest Restoration Project, $75,000 This grant to the Yuba Watershed Institute will fund the completion of biological and cultural resource surveys, develop prescriptions and cost estimates for proposed forest restoration treatments, and complete the environmental compliance necessary to thin overly-dense forests, reduce wildfire risk, and remove beetle-killed trees on approximately 1,200 acres within the ‘Inimim Forest. Nevada County – Lower Steephollow Watershed Restoration Implementation Plan, $74,928 This grant to the Sierra Streams Institute will complete environmental compliance and fund the creation of a Healthy Forest, Watershed, and Fuel Reduction Implementation Plan to restore a wildlife-friendly and fire-resistant landscape, and reduce the threat of wildfire on 396 acres of Bureau of Land Management (BLM) land, and two parcels of private land totaling 59 acres near where Lower Steephollow Creek flows into the Bear River. Nevada County – Upper Deer Creek Healthy Forest and Fuel Reduction Implementation Plan, $74,928 This grant to the Sierra Streams Institute will fund the creation of a Healthy Forest, Watershed, and Fuel Reduction Implementation Plan to develop a fire-resistant landscape, and reduce threat of wildfire on 298 acres within the Upper Deer Creek watershed above Scotts Flat Reservoir. Shasta County – Crossroads Project, $74,793 This grant to the Fall River Resource Conservation District will complete the pre-project due diligence work for forest restoration activities on a 2,825-acre portion of a larger 20,000 acre project area identified in the Upper Pit River Watershed Integrated Regional Water Management Plan. When implemented, the restoration activities will reduce the potential for large, uncontrolled fires, and subsequent erosion in the Upper Pit River watershed. Sierra County – Planning for Resilient Forests in Mining-Impacted Landscapes: Fuels Reduction and Erosion Prevention, $74,483 This grant to The Sierra Fund will leverage already planned management actions for the Tahoe National Forest (TNF) and develop strategies for integrating hydraulic mine remediation into holistic forest health restoration. This project will develop a fuels-reduction and erosion-prevention plan for the two sites – Grizzly Creek Diggins and Tippicanoe – which total 99 acres, as well as remediation design for the two hydraulic mines, ultimately protecting the Yuba River watershed and New Bullards Bar Reservoir. Nevada and Sierra Counties – Yuba Headwaters Healthy Forest Project Phase I, $65,000 This grant to the Nevada Irrigation District (NID) will complete a Timber Harvest Plan (THP) for approximately 550 acres of NID land in and around English Meadow in the Upper Middle Yuba River watershed. The THP will focus on restoring a more diverse, uneven-aged forest and reducing wildfire risk immediately upstream from Jackson Meadows Reservoir, a keystone facility for the NID’s water supply. Shasta, Lassen, and Plumas Counties – Improving Landscape and Watershed Health through Restoring Fire Regimes in Lassen Volcanic National Park, $74,966 This grant to the Sierra Institute for Community and Environment will complete the cultural and biological surveys, and environmental compliance necessary to support 2,400 acres of future prescribed fire work in the Lassen National Park. The planned prescribed fire activities will reduce fuel loading and risk of large, damaging wildfires in the headwaters of the North Fork Feather River. Nevada County – Western Nevada County Community Defense Project, $500,000 This grant to the Fire Safe Council of Nevada County will reduce fuel loads and the risk of large, damaging wildfires on 239 acres of Tahoe National Forest land in the Deer Creek watershed in Nevada County. The project site is just above the inlet to Scotts Flat Reservoir, which stores water for approximately 75,000 residents in Nevada City, Grass Valley, and surrounding areas. Butte County – Butte Creek Forest Health Project, $499,100 This grant to the Butte County Fire Safe Council will complete fuel reduction and forest restoration treatments within three populated watersheds on three parcels: Paradise Irrigation District (30 acres), Paradise Unified School District (15 acres), and Paradise Pines Property Owners Association (386 acres). Project work will reduce the risk of large, damaging wildfires within the Little and Middle Butte Creek watersheds, tributaries to the Sacramento River. El Dorado County – Trestle Forest Health Project, $487,715 This grant to the National Wild Turkey Federation will treat 270 acres of overly dense forest and reduce the risk of large, damaging wildfires. This work will protect drinking water infrastructure and the residents in the community of Grizzly Flats in El Dorado County. Tehama County – Onion Ridge Fuel Reduction and Forest Health Improvement Project, $250,006 This grant to the Resources Conservation District of Tehama County will increase forest and watershed health and resiliency over 533 acres through the creation of a strategically-designed fuel break along a 25-mile long road on the ridge between Mill Creek and Deer Creek, two anadromous fish-bearing streams in eastern Tehama County that drain to the greater Sacramento River Basin. El Dorado County – Fire Adapted 50 – Sly Park Vegetation Management Project, $500,000 This grant to the El Dorado County Resource Conservation District will fund 260 acres of forest restoration treatments within the larger Sly Park Vegetation Management Project landscape, an all-lands approach focused on creating a fire-resilient landscape on 3,724 acres of forested land surrounding Jenkinson Lake, a key water supply feature for El Dorado County. In addition to meeting the requirements of Proposition 1, the projects awarded support the goals and objectives of the Sierra Nevada Watershed Improvement Program, a large‑scale restoration program designed to address ecosystem health in the Sierra Nevada. This program is being coordinated by the Sierra Nevada Conservancy and the U.S. Forest Service, and seeks to increase the pace and scale of restoration across the Sierra by increasing funding, addressing policy barriers, and increasing infrastructure needed to support restoration. To date, the Sierra Nevada Conservancy has funded 47 Proposition 1 projects totaling $12,846,168 that support the restoration goals of the Sierra Nevada Watershed Improvement Program. Additional information about each of these projects can be found at www.sierranevada.ca.gov. Created in 2004, the Sierra Nevada Conservancy (SNC) is a state agency whose mission is to improve the environmental, economic, and social well-being of the Sierra Nevada Region. The SNC has awarded over $65 million in grants for projects to protect and enhance the health of California’s primary watersheds by improving forest health, remediating mercury contamination from abandoned mines, protecting critical natural resources, and reducing the risk of catastrophic wildfire. Funding for these projects came from Proposition 84 passed by voters in 2006 and Proposition 1 passed by voters in 2014. The Sierra Nevada Region spans 25 million acres, encompasses all or part of 22 counties, and runs from the Oregon border on the north to Kern County on the south. 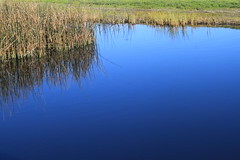 The Region is the origin of more than 60 percent of California’s developed water supply.